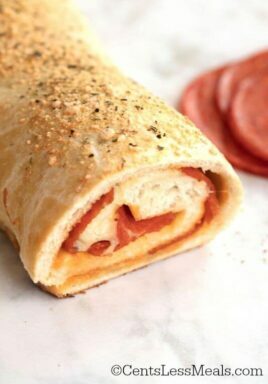 Easy and cheesy, this pepperoni roll recipe uses frozen bread dough as a simple and tasty version of pizza dough. The result is a wonderfully crispy outer crust that’s soft on the inside — perfect for “caressing” the delicious ingredients! 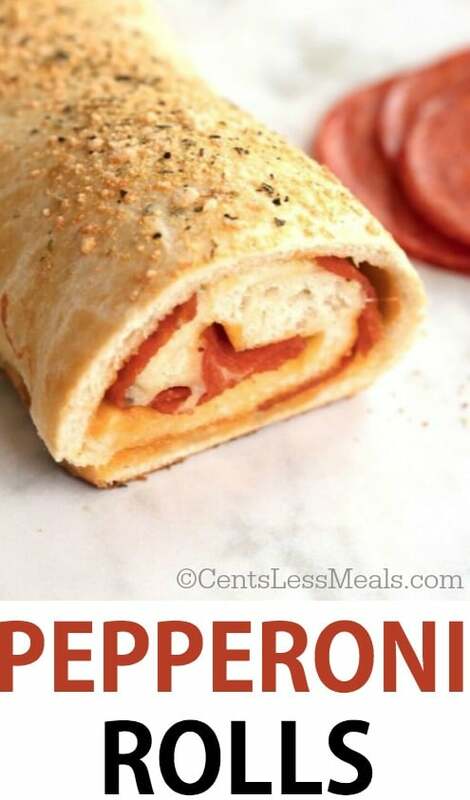 Even though this is a pepperoni roll recipe, feel free to add other meats and veggies that you love, like sausage, peppers, onions, olives, and mushrooms. Just be sure to completely drain the wet ingredients, like bottled olives or artichoke hearts, and lightly sauté any veggies that have a lot of water, like mushrooms. You can choose your favorite variety of frozen bread dough — plain white, whole wheat, herbed, cheese — and of course you can “mix it up” each time you make this recipe. If you just love pepperoni, you can use more than 16 slices, just keep in mind that the thin-sliced pepperoni works best (especially if you’re adding ingredients) because the roll will be more even. Cut your veggies thinly, like peppers, onions, and artichoke hearts. 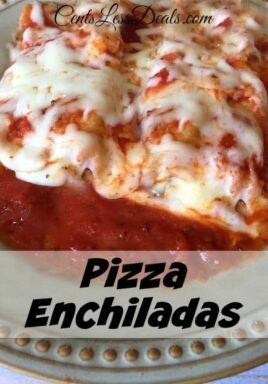 The shredded Italian cheese is a special blend of Provolone, Mozzarella, Parmesan and Romano, but if you’re in a pinch and don’t want to make a run to the store, you can substitute just about any other mild to medium flavored cheeses that aren’t too soft and will melt nicely. As for the seasonings, note that the recipe indicates you really don’t need a lot. If you want to create your own special mix of seasonings to replace the Italian seasoning (which combines rosemary, thyme, oregano, and other seasonings), go for it! You may want to very lightly flour your rolling pin before rolling out the frozen bread dough that’s been defrosted. If you’re using extra meat and veggies, lay everything out on the dough evenly and be careful not to pile your ingredients too high. Be sure to let the rolled dough “rest” on top of the oven as it preheats. 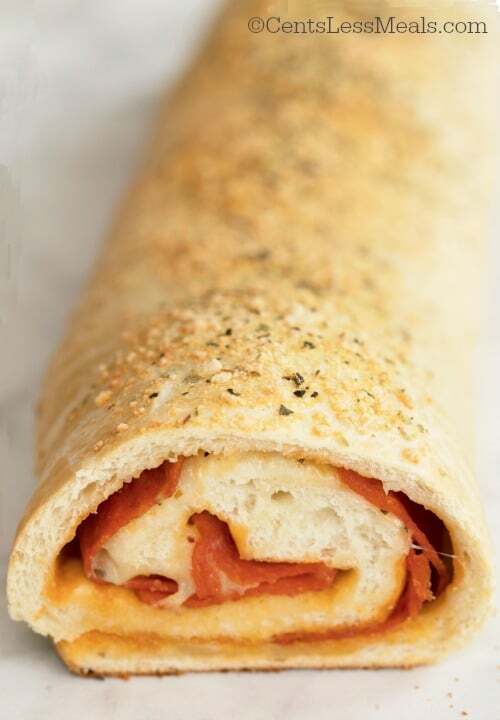 Easy and cheesy, this pepperoni roll recipe uses frozen bread dough as a simple and tasty version of pizza dough. The result is a wonderfully crispy outer crust that’s soft on the inside -- perfect for “caressing” the delicious ingredients! Do not preheat oven until roll is prepared. On a lightly floured surface, roll dough into a 12x12 square. 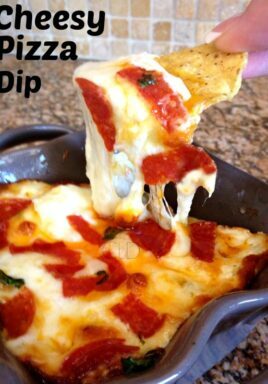 Arrange pepperoni on the dough and sprinkle with italian seasoning. Top with shredded cheeses and roll jelly roll style. Pinch seam to seal. Place roll seam side down on a parchment lined pan. 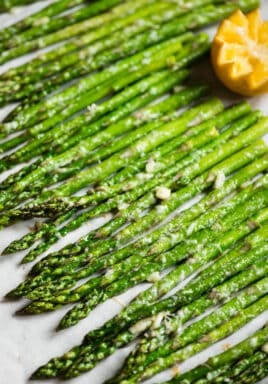 Combine melted butter, parmesan cheese and garlic powder. Brush on top of the roll. Place the roll on the stove and turn the oven on to 375 degrees (about 15 minutes). Bake 17-20 minutes or until golden. Serve warm. 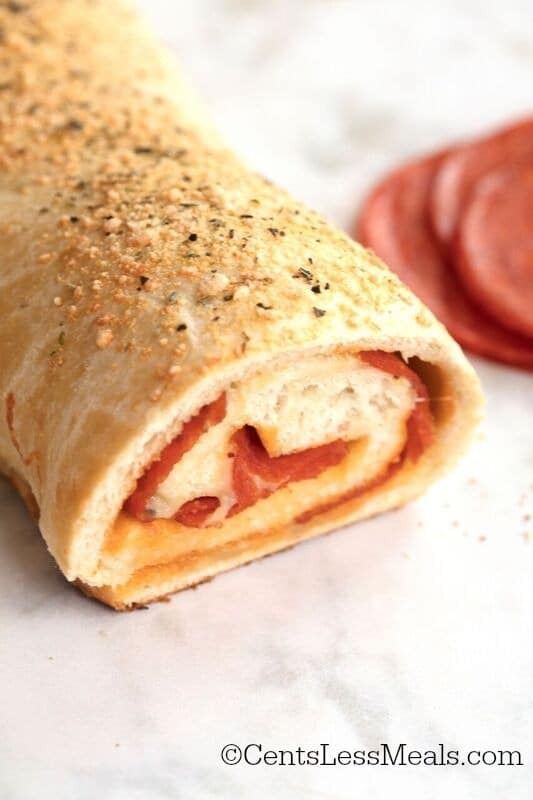 Enjoy your easy-to-make and scrumptious pizza roll with friends on an afternoon game day or evening get together — just be warned, it’ll disappear fast, and you may get more than a few requests for this pepperoni roll recipe! Interested in more great recipes? Hi, Is this recipe for one pepperoni roll? Yes, the recipe is for one pepperoni roll and will serve 4 people. I have been making this for many years. I also add drained banana peppers. They add to the flavor, My husband and family love it. I have made for work luncheons and never have left overs. Hi what can I use instead of frozen bread dough to make the pepperoni roll.